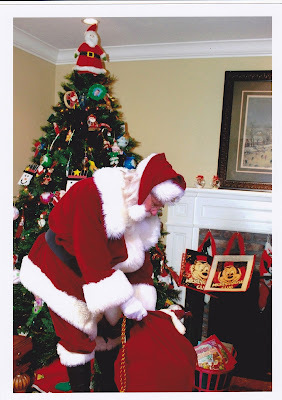 This year, Santa made a surprise early visit to our house. We took a picture of him in "action." Santa left us Disneyland tickets, Mickey Mouse ornaments and bags. Will post later about our amazing trip to Disneyland. Love the magic of Santa Claus! !